Amherst (Mass.) 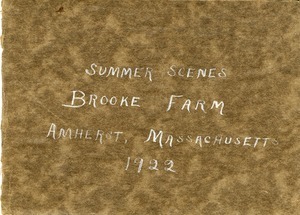 - Cover of photo album, with title written in white ink. Amherst (Mass.) 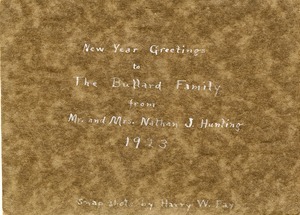 - Dedication page of photo album: "New Year Greetings to the Bullard Family from Mr. and Mrs. Nathan J. 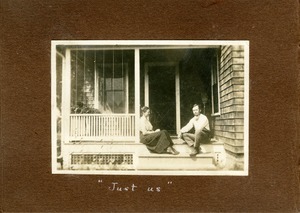 Hunting 1923. Snap shots by Harry. W. Fay. Amherst (Mass.) 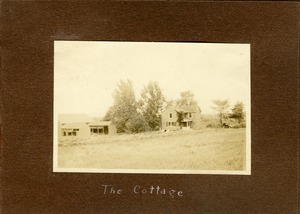 - Image of farm cottage and outbuildings. Amherst (Mass.) 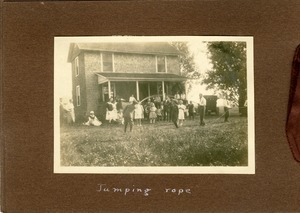 - Young woman skipping rope as the crowd looks on. Amherst (Mass.) 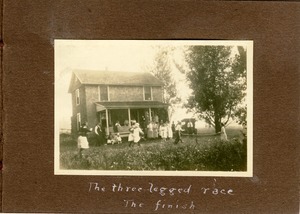 - Children and adults in front of farm cottage, apparently setting the finish line for the three-legged race. 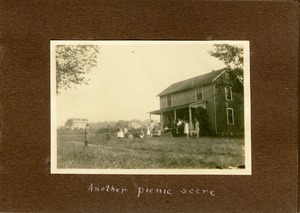 The homes of William Penn Brooks and Arthur N. Julian can be seen in the background. Amherst (Mass.) 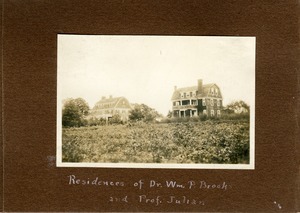 - Houses of Professor William Penn Brooks and Arthur N. Julian, both of Massachusetts Agricultural College. Amherst (Mass.) 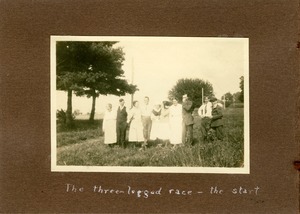 - Five teams preparing for a three legged race. Amherst (Mass.) - First couple crossing the finish line in the three legged race. Amherst (Mass.) 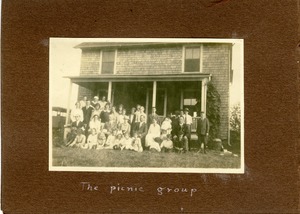 - Picnickers assembled on steps of the farm cottage.